I have been highly involved on campus, as a photographer on the Human Jukebox Media Team (2016-2018) and DaEdge1Productions (2015-2017), a Spring 2016 initiate of Collegiate 100 Women, an member of SU Volunteers, 2017-2018 Miss Senior. I was elected as the 88th Miss Southern University and A & M College (Spring 2018). I plan to work in marketing, in the Media & Entertainment industry. Fulfilling my platform of Connecting Undergraduate and Alumni Networks, to help student entrepreneurs build their foundations. I began this project as Miss Senior, with resume printing and workshops, and continued as Miss Southern to provide an open market place for students to showcase their entrepreneurial ventures, learn from Alumni that have established businesses of their own, and build a network and following with students on campus. 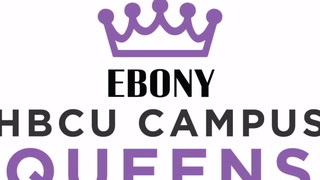 This is a legacy, I hope future Queens will continue for the students.